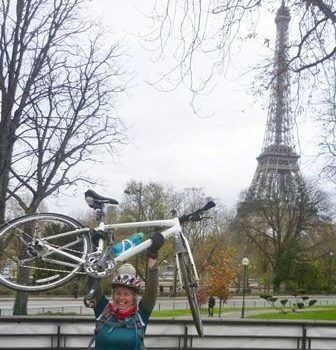 We are very pleased to share that our CEO Wendy Stephenson successfully cycled from Bristol to Paris! There she joined with people from around the world who wanted to see real action on climate change at COP21. Well done Wendy! You can read about her journey on the live blog from our friends at Love The Future. On home ground, a team of participants completed a spin bike challenge and cycled the total distance between Bristol and Paris in relays. Well done to everyone who took part and thank you for raising money for our eco-restoration project. Special thanks to the local businesses that supported the event, Pure Gym, inPlay Golf, Beyond the Wall and GRN Sportswear. In case you didn’t know, at the 2015 UN Climate Change Conference (COP21) leaders from around the world acknowledged that we need to significantly increase reforestation rates to avoid catastrophic climate change. They have called on every sector of society including the private sector as well as individuals and civil society. 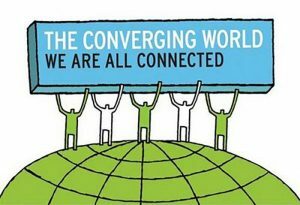 The Converging World is looking to help facilitate more reforestation through its campaign ZERO2020. Look out for more information coming soon. In the meantime if you would like to read the full leaders’ statement on reforestation, then please click here.